I’ve been looking over my writing notebooks written a while back but unread by anyone other than myself or my husband. 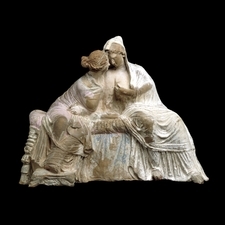 The myths of Demeter and her daughter, Persephone, fascinate many including me. For a number of reasons these myths seem to appeal especially to women. Many of the great living women poets have written brilliant poems about Persephone (e.g., Louise Glück and Eavan Boland). The story is timeless. In today’s poem I’ve written a Lamentation of Demeter. 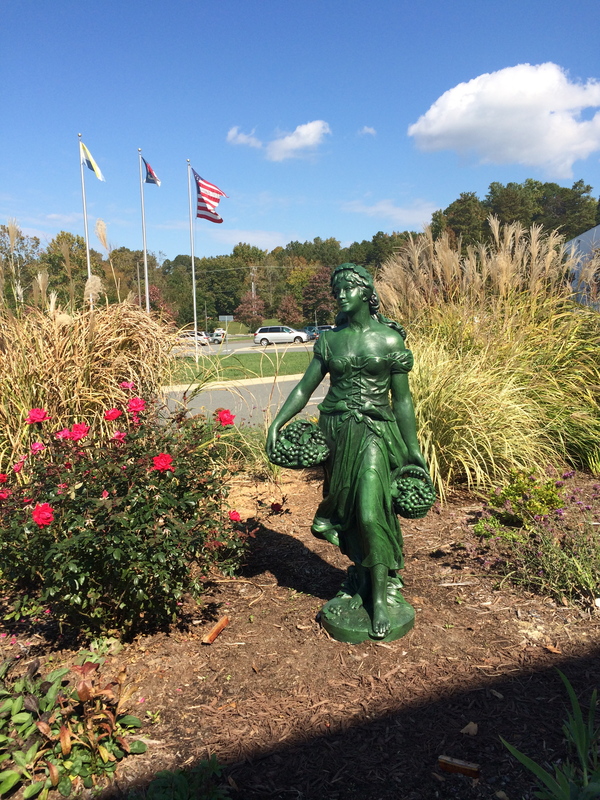 Demeter, the goddess of the harvest and grains, is often referred to as the mother-goddess since she represents fertility on earth. Her importance is indisputable. When she mourns for her missing daughter, Persephone (who has been abducted by Hades and taken down into the underworld by force) the seasons stop. Things stop growing and the earth begins to die before Persephone’s father, Zeus, intervenes. You know the story, but it is worth re-reading if you haven’t read any mythology for a while. So what is a lamentation? The Oxford English Dictionary defines it simply: “The passionate expression of grief or sorrow; weeping.” Anyone who has grieved knows instinctively what it is to lament the loss of someone who is dearly loved. The feeling is painful and deep, and I think this resonates within us all. 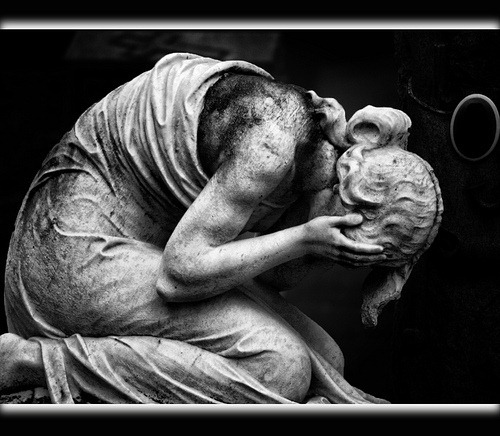 Demeter mourned her daughter’s abduction to a point where the earth nearly perished. This poem begins with her not yet knowing all that has happened. I picture her as a mother desperate to know what has happened to her child. This is one of two lamentations of Demeter I’ve written. The second will follow at some point. How is it that I don’t know where she has gone? they would stop at nothing. Last night I watched the dog star rise up. that might lead me to my lost child. Why is it the stars are silent? to us and yet your silence is puzzling. Surely you saw where she went, my only child. Will no one tell me where my Persephone has gone? 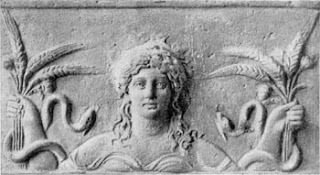 This entry was posted in death, myths, Poems, poetry and tagged British Museum, death and rebirth stories, Demeter, grief, lamentation, Mary Kendall, mourning, mythology and poetry, myths of seasons, Persephone, poetry. Bookmark the permalink. “Why is it the stars are silent?” There is such loveliness and pain in this beautiful poem. Thank you for sharing it, Mary! Really lovely, Mary. Thank you for the background. I’m not up on knowledge of the gods. It’s so interesting. I really like the counterpoint between the alternating stanzas–Demeter comes across powerfully as a woman trying to talk herself through this crisis as calmly as possible, but her heart’s wail keeps breaking through. Thank you for sharing! Thank you, Alice. It’s always wonderful to hear from a sensitive reader. Best wishes, Mary. “Why is it the stars are silent?” So much meaning in so few words. Your lamentations is more sleek and elegant then what I wrote. I also tell about Niobe. Mythology really has a strong pull on me. Hi again. I will come back to see your new Demeter/Persephone piece after lunch. My email is in the Avatar page. Thanks for writing! Mary, perhaps only a mother can truly fathom the sorrow of that lamentation. Whenever I read/hear/watch news about the death of children, my first thought (and prayer) is for the mother. How would she bear the loss? When my daughter was small (six years old, I think; she is now 19) she came home from school and told me that the little boy who used to sit next to her in class was no more- the teacher had told the class that he will not be coming again. He had drunk, by mistake, some type of cleaning liquid kept at home and died. I wept for days….even though I had never known him. Your very sad story touched my heart too. I can’t imagine the depth of grief a parent must feel, but I’ve known several children who died and there is no easy way to deal with the loss. Losing a child to things other than death (e.g.,drugs, other destructive choices) also is grieved by so many these days. And then there is suicide. My heart breaks thinking of several I’ve known who chose to leave this way. Thank you for sharing this today. You always give us something to think about. Mary, this is so timely in light of the sad news from school and also thinking about the mothers in Nigeria whose daughters have been taken from them. Thank you once again for expressing what so many are feeling. Thank you, my friend, for your own lovely words in response. You read my own thoughts it seems…or perhaps thoughts of all who have lost a child in any way.